Does your carpet look worn out? Are you tired of hiding stained or burned spots by consistently shifting your furniture? 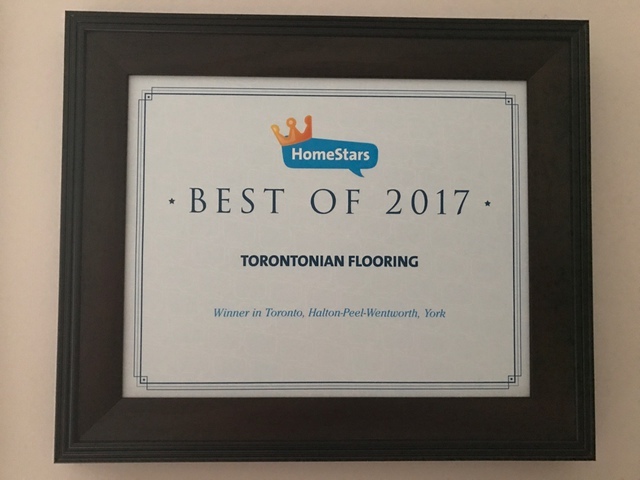 If yes, Torontonian Flooring is here to assist you. We are a leading carpet and laminate company offering a wide range of carpet installation services to homeowners who want to install a new floor or carpet. With years of experience, our carper installers are proudly serving the regions of Toronto, Mississauga, Oakville, Hamilton, Milton, Vaughan & Burlington. 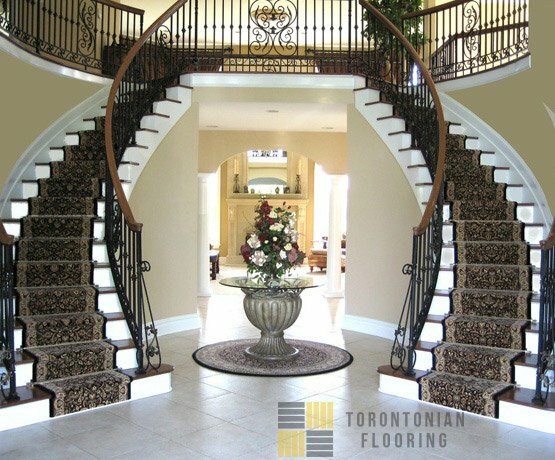 We supply and install stair runners, wall-to-wall residential carpet installation services and the best carpet installation in Toronto, Mississauga, Oakville, Hamilton, Burlington, Vaughan & Milton. Our stair runners are unique in design and complement your home’s hardwood flooring well. Wall to wall carpet flooring in bedrooms and basement helps keep it warm in winters and save on the utility bills. Many people cover their stairs using cozy stair runners. Other options in home décor include wall to wall broadloom, hardwood flooring, laminate or engineer flooring in their living room, kitchen and dinning room area. Homes with hardwood flooring in the main area need area rugs to cover their floors. We offer a reliable and satisfying shop-at-home experience at great prices. You can get up to great deals on our regular retail ! We have a large selection of natural wood, sisal and sea grass broadloom for residential use. We are specialized to make all types of stair runners, hallway runners and matching area rugs and provide the best stair runner installation in Toronto and GTA. Our company offers high quality stain and pet resistant carpets and broadlooms for your home, restaurant, hotel, or office. We have the latest collection of hardwood, laminate and vinyl plank floors to choose from. No matter, which floor color or style you need, we are here to serve your needs with high quality flooring services. Thank you for the professionalism, promptness and most of all kindness you all demonstrated in repairing our floor. You are a joy to know, and a pleasure to recommend to family and friends. Many thanks. 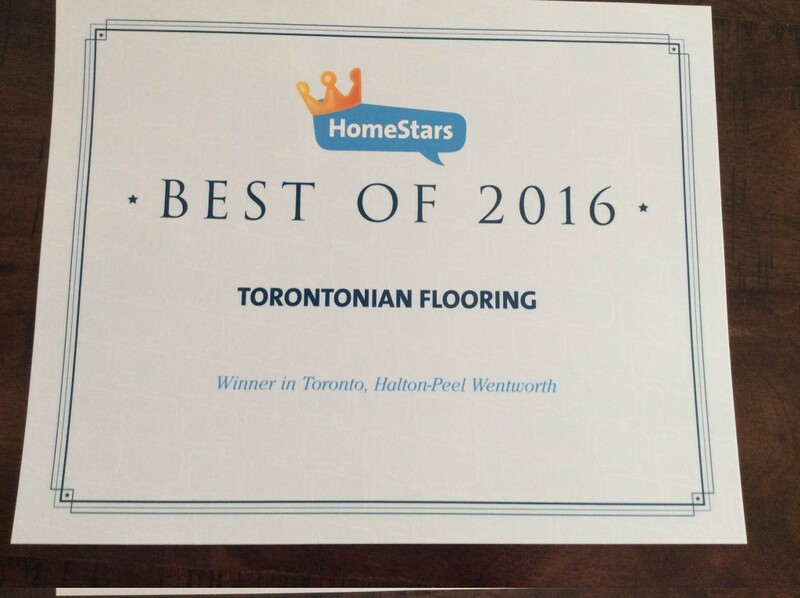 Torontonian Flooring do the job right the first time. He’ll do whatever it takes to satisfy the customer. They are not only affordable but just the best. 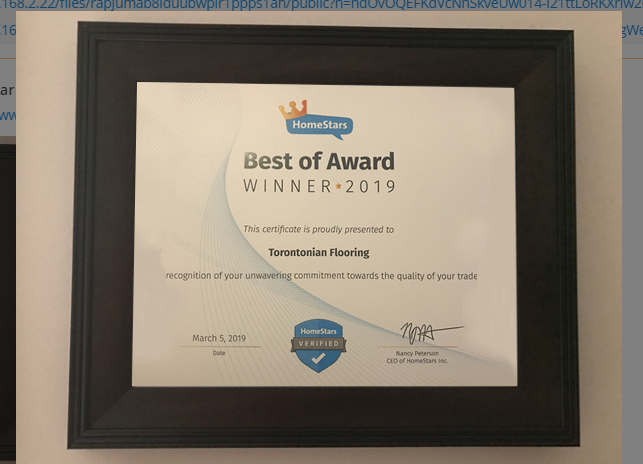 We have been a long time customer of Torontonian Flooring. 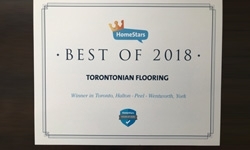 We have used them to do the flooring in the last three homes we have lived in and would highly recommend them to anyone. 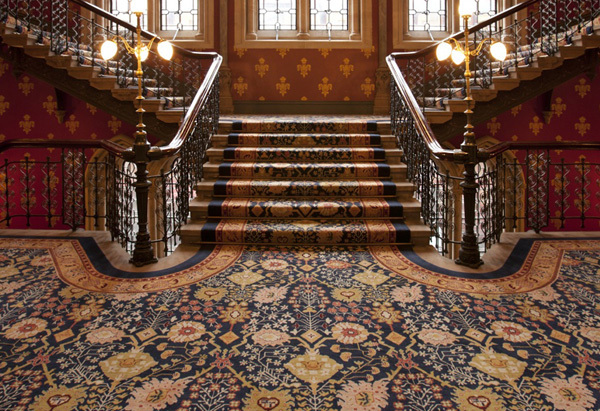 The team at contract carpet has done tile, lots of carpet and even stairways for us. The service is awesome and their installers do an amazing job, true craftsmen. Thank you so much for the extra special treatment. You are a great person and a good businessman! I’ll be a walking advertisement for you at all times because I know that you really care for your customers and friends.